SAN FRANCISCO (AP) — Pacific Gas & Electric Corp., the nation’s biggest utility, filed for bankruptcy reorganization Tuesday in a bid to relieve itself of some of the billions of dollars in damages it could face as a result of California’s devastating wildfires. 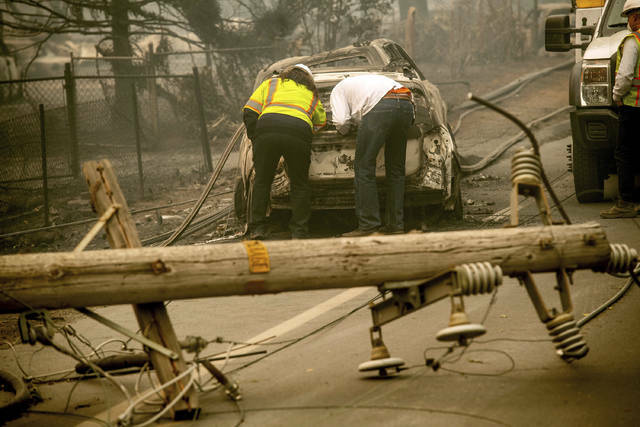 The Chapter 11 filing allows PG&E to continue operating while it puts its finances in order. But the move could ultimately drive up electricity rates for customers, jeopardize California’s ambitious transition toward renewable energy and lead to smaller payouts for fire victims. It was also seen as a possible glimpse of the financial toll that could lie ahead as climate change takes hold. Scientists say global warming is leading to fiercer, more destructive wildfires and longer fire seasons. PG&E cited hundreds of lawsuits from victims of fires in 2017 and 2018 when it announced this month that it planned to file for bankruptcy. The bankruptcy filing immediately puts a halt to the wildfire lawsuits and consolidates them in bankruptcy court, where legal experts say victims will probably receive less money. The victims have little chance of getting punitive damages or taking their claims to a jury in a bankruptcy proceeding. Instead, they will have to compete with PG&E’s creditors, including bondholders, for a payout from the company. PG&E faced additional pressure not to move forward with the bankruptcy after investigators said a private electrical system, not utility equipment, caused the 2017 wine country blaze that destroyed more than 5,600 buildings in Sonoma and Napa counties. Gov. Gavin Newsom’s office estimated that more than half of the roughly $30 billion in potential damages that PG&E said it was facing was from that fire. Legal experts say the bankruptcy will probably take years to resolve and result in higher rates for PG&E customers. The company provides natural gas and electricity to 16 million people in Northern and central California. 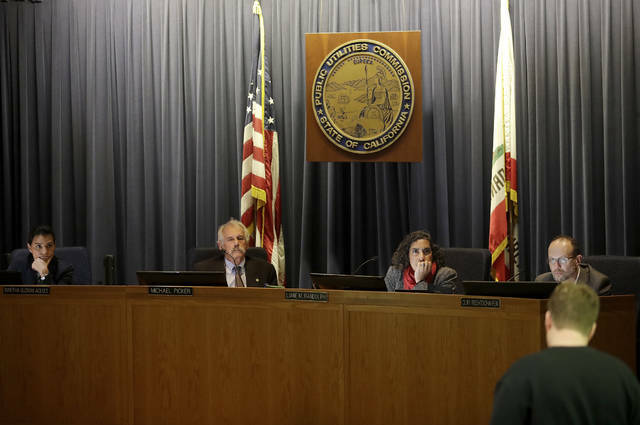 PG&E would not speculate on any changes to customers’ bills, noting that the California Public Utilities Commission sets electric and gas rates. Mark J. Perry is a scholar at the American Enterprise Institute and a professor of economics at the Flint campus of the University of Michigan. He wrote this for InsideSources.com. By Donald A. Purdy Jr.
For that reason, it is necessary to implement regular, comprehensive testing for higher-risk systems such as those that perform key functions in critical parts of the finance, telecommunications or energy sectors and are therefore essential to national security or deliver essential government services. Critical components and software in these and other high-risk systems should be checked extensively before being deployed. Such an approach would greatly reduce the risk of a nationally significant cyber breach or attack. This sort of testing is already taking place in other parts of the world. In December, Germany encouraged telecom equipment vendors to set up independent verification labs where third-party experts can test hardware and software for vulnerabilities. Last November, Huawei opened such a testing facility in Bonn. It will open another in Brussels early this year. In the United Kingdom, where the government has overseen a Huawei testing center for the last eight years, Huawei is working to address concerns about its software development process. These concerns were outlined in a report issued last July by the U.K. government-chaired Oversight Board that monitors the center’s operations. In response, Huawei’s rotating chairman, Ken Hu, recently announced a five-year, $2 billion overhaul of Huawei’s software development processes aimed at making sure — transparently and publicly — that no software is compromised. Even in the United States, there is a growing realization that a piecemeal, case-by-case approach to cyber security based on blocking “bad” companies must eventually be replaced by an assurance framework that manages risk from all vendors. The Federal Acquisition Supply Chain Security Act adopts this improved approach. The act creates a Federal Acquisition Council charged with addressing security threats to America’s digital supply chain in the government IT acquisition process. Consisting of seven federal agencies, the council will use criteria created by the National Institute of Standards and Technology to decide which specific products should be excluded from procurement by U.S. government agencies because of supply chain risk. 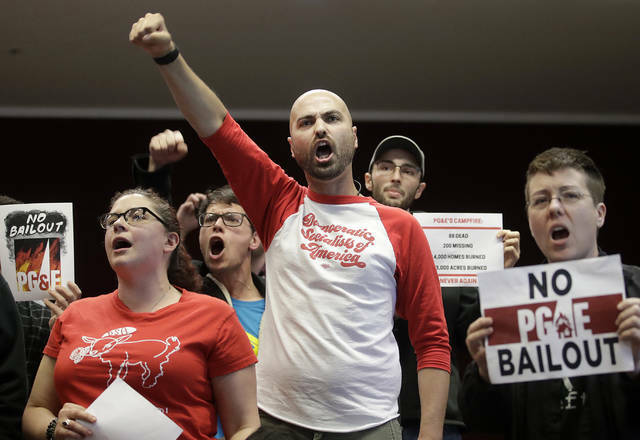 Consistent with U.S. traditions of due process, companies whose products are targeted by a federal ban will be given reasons for the proposed action, plus a chance to show that the ban is not warranted. Government agencies will need to explain why more limited measures were not sufficient to mitigate the risk. Targeted companies will also have a limited right to judicial review in the U.S. Court of Appeals for the D.C. Circuit. If the United States is not up to the task of establishing a product assurance framework for all vendors supplying critical, high-risk systems, Huawei is open to discussing with customers and the U.S. government the possibility of setting up an evaluation center for the company’s products in the United States. This could serve as a proof of concept for governments elsewhere in the world. It would also mark an important step toward making America’s digital networks more secure. HOUSTON (AP) — It started as an attempt to serve a search warrant at a suspected drug house and quickly turned into a gun battle that killed two suspects and injured five officers, including four who were shot, Houston’s police chief said. The suspects were killed Monday after firing at narcotics officers who were trying to enter a home on the city’s southeast side where authorities allege black tar heroin was being sold, Chief Art Acevedo said. Four of the officers were shot and a fifth suffered a knee injury. Acevedo said two of the officers who were shot were hit in the neck by gunfire and were in critical but stable condition at a Houston hospital. Two other officers, including the one who injured a knee, were in good condition at the hospital Monday night. Another officer who was shot was released after being treated for a shoulder wound. The chief said a group of about a dozen officers with the Houston Police Department’s narcotics unit were attempting to serve the warrant when they forced open the home’s front door and immediately faced gunfire from one or two individuals. He said officers had gotten a tip from a neighbor that the heroin was being sold there.